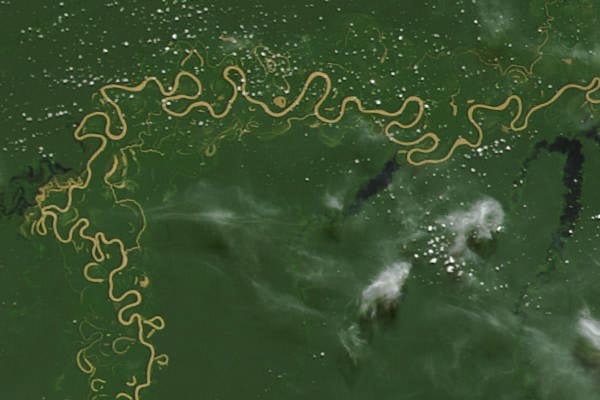 The Rio Purus winds over a uniformly flat region of the southwest Amazon basin in Brazil. Its navigable length is 1866 miles (3000 km), but most of this is just to get around the curves in the river. The length in a straight line is less than half that with its curves.